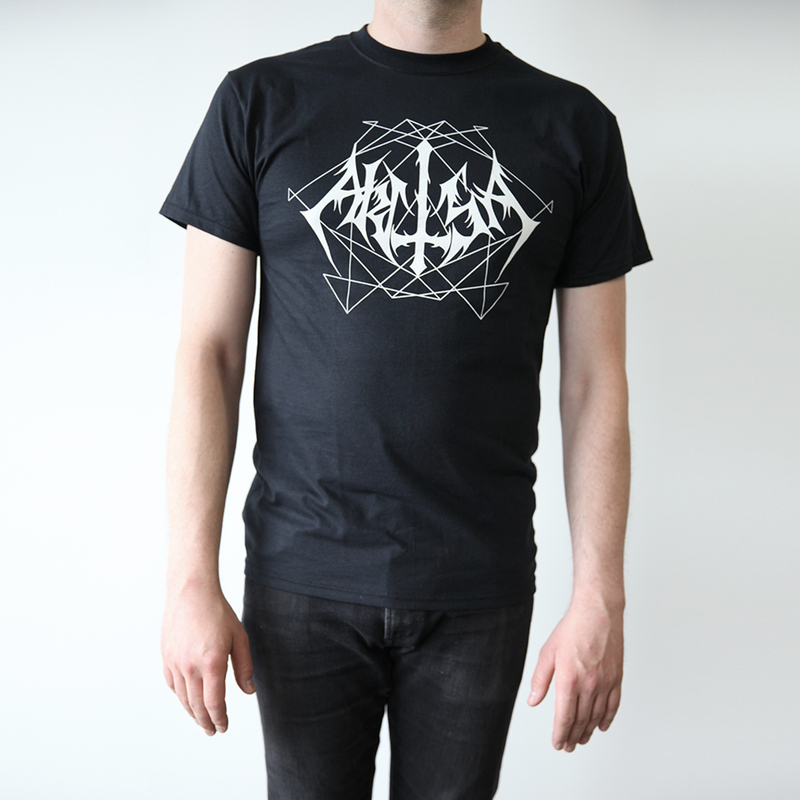 The Akitsa "Logo" T-shirt is now available again. It was originally available exclusively from Hospital Productions store in the mid/late 2000s. Fruit of the Loom Heavy Cotton black T-shirt professional screen printed with white discharge ink on front, leaving no-feel print. 100% cotton. Size small, medium, large and x-large are available. To select a size, click on the size box for a drop down menu. 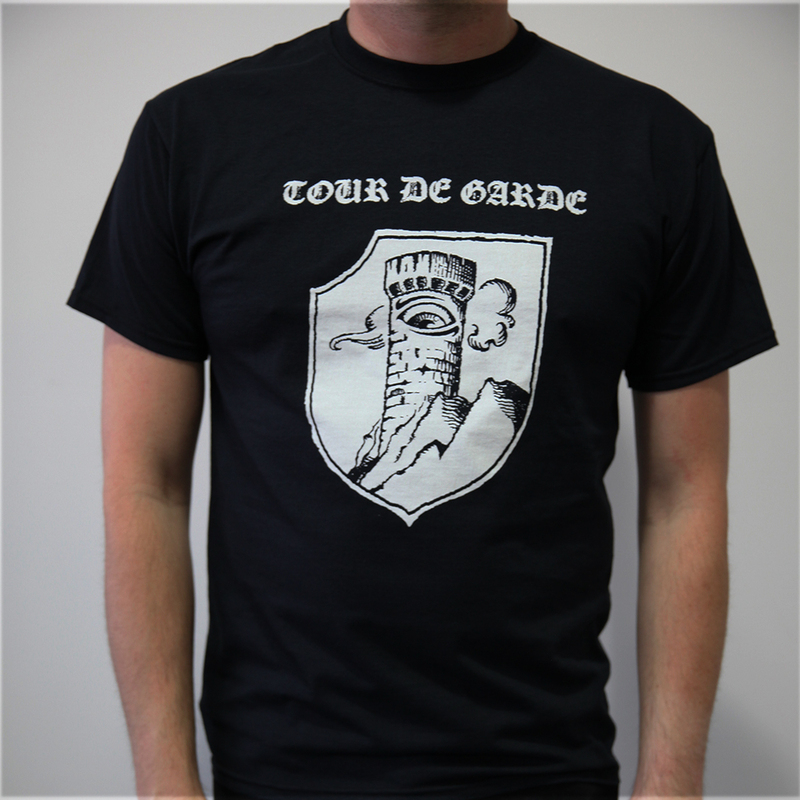 The official Tour de Garde "Coat of Arms" T-Shirt is finally available again in all sizes. Fruit of the Loom Heavy Cotton black T-shirt professional screen printed with white discharge ink on front, leaving no-feel print. 100% cotton. Size small, medium, large and x-large are available. To select a size, click on the size box for a drop down menu.